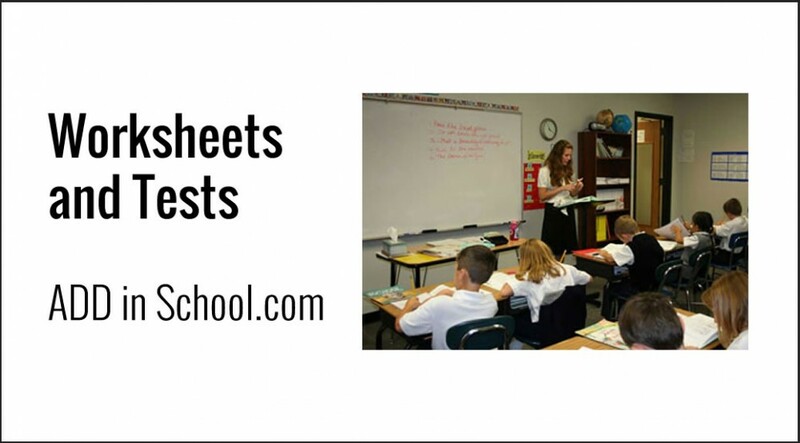 Every elementary school teacher uses worksheets. Learn how they can best be used with elementary school aged students with Attention Deficit Hyperactivity Disorder “ADHD”. Stress accuracy instead of quantity of work. This is really what you want as a teacher anyway. The child is easily overwhelmed and discouraged. Reduce the quantity of work on a page. Instead of giving 30 problems on a page, give only five or six. Then the child won’t be overwhelmed, and successes will build up his self esteem. Use large type. Use easy to read fonts, such as Open Sans or Lato.